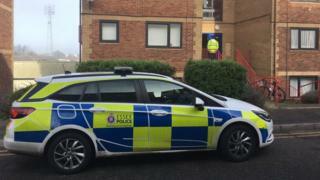 A murder investigation has been launched after a man who was stabbed in the leg died. Emergency services were called to Roots Hall Drive in Southend-on-Sea, Essex, just before midnight on Thursday. The man, in his 30s, was taken to hospital, where he died. Essex Police said no-one had been arrested and detectives were continuing their inquiries to establish what happened. The force appealed for witnesses.